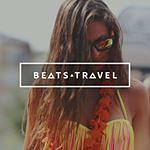 Founded in 2014, Beats Travel was created by a crew of avid travellers and music enthusiasts, who saw a gap and decided to bring music touring to life as the next generation of travelling. The crew consists of experienced tour guides with extensive knowledge of each and every destination, along with DJs, photographers, videographers and event planners, all with one thing in common, a love of a unique party, and sharing this passion with everyone. From the moment you arrive on your Beats Travel experience you will be immersed in the local cuisine, dancing in the hidden bars, chatting to the locals about their favourite tunes and finding yourself off the beaten track. You will join exclusive parties thrown by our team featuring our extensive network of talented DJs, and show you each country as it is seen from off the beaten track. The old saying goes your vibe attracts your tribe, but what if there is a tribe that attracts your vibe, a tribe that hates clichés. Does your world revolve around music, and are your thoughts consumed with finding every last beat that is hidden around the globe? Welcome to the dark side. The side where you love a deep, dirty bass line and hearing it in places where you lose yourself, with no idea where you are, but don’t care because you have no desire to leave just yet. ’Where do I stay?’, ’How do I get there?’, ’Is it safe?’, ’I don’t know anyone’. Whatever you need, we have it covered. We include all your essentials. Accommodation, travel arrangements, festival tickets are all included in our incredible experience. We will do our very best to make this the most exciting, emotional, easy-going and stress-free as possible. At the end of the trip I was melancholy knowing we had to go our separate ways, but at least I knew it was the result of a GREAT trip. I highly recommend Beats if you are all about culture, adventure, people and music! The Icelandic Beats tour was an amazing experience. Beats Travel prepared a top plan for us, a perfect mix of travel, discovery, hang out, downtime and of course party. We arrived not knowing anyone and by the end we were like family! I was so sad to leave!! This tour attracts amazing people. Balance of sightseeing and the music festival was great. Way better than the one i did with contiki. This one is more personal and friendly. Loved it so much i'm considering another tour with Beats. Truly a special tour company! "I loved the way they focus the tour around the music scene and festivals"
I loved the way they focus the tour around the music scene and festivals, but they also make sure to show everyone a good time, good restaurants, bars and tourist spots." "This eight day adventure had it all!" From exploring the stunning country of Iceland to partying with a group that became my family at Secret Solstice Festival, this eight day adventure had it all!" "I have no regrets! It's a great balance of music, partying, sightseeing and hanging out with your newest friends. I have already booked on 2 more tours this summer with Beats and made plans for further travel with one of my new Beats family members."